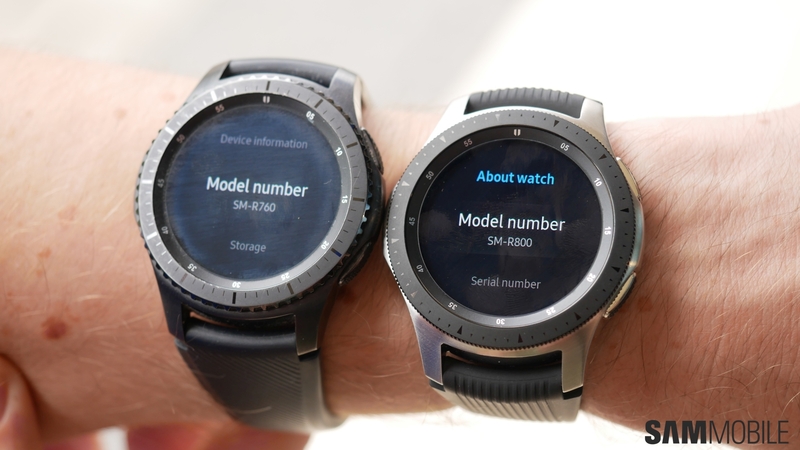 To understand the smartwatches, before it is necessary to answer a basic question: why do people, even with cell phones in their pockets, still wear watches? The answer can vary. Some will say that the clock is just a fashion accessory used to improve personal image; While many will find it more practical to consult the hours on the wrist than withdrawing a cell phone from his pocket. 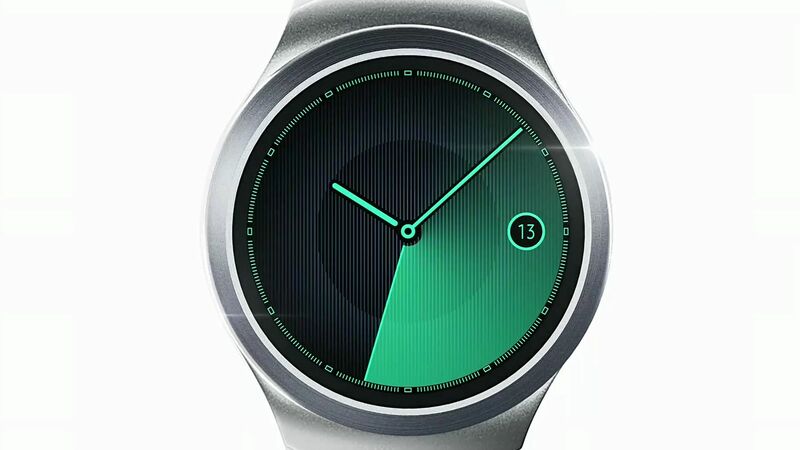 It is for the latter group the smartwatch clock works. He carries a series of functionality of a smartphone for your wrist, trying to make it more intuitive, flexible and, above all, practical. 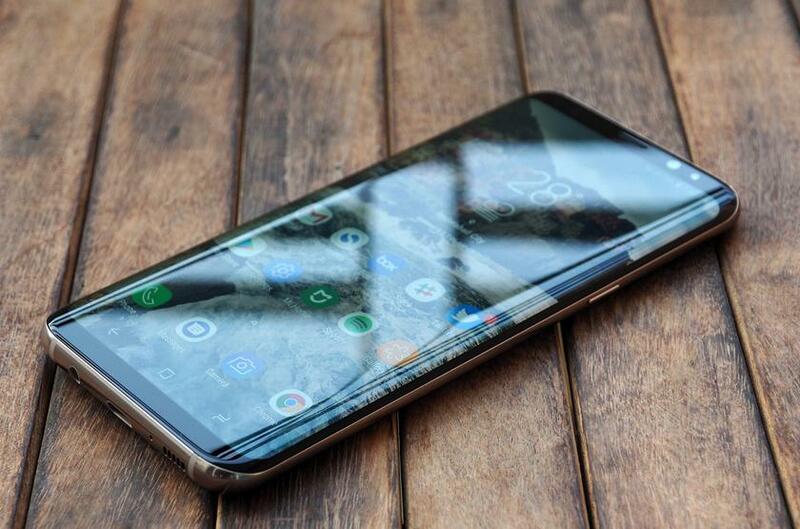 The idea is that you don’t have to take the phone out of your pocket to answer a phone call, increase the volume of the music or even take a quick photo. 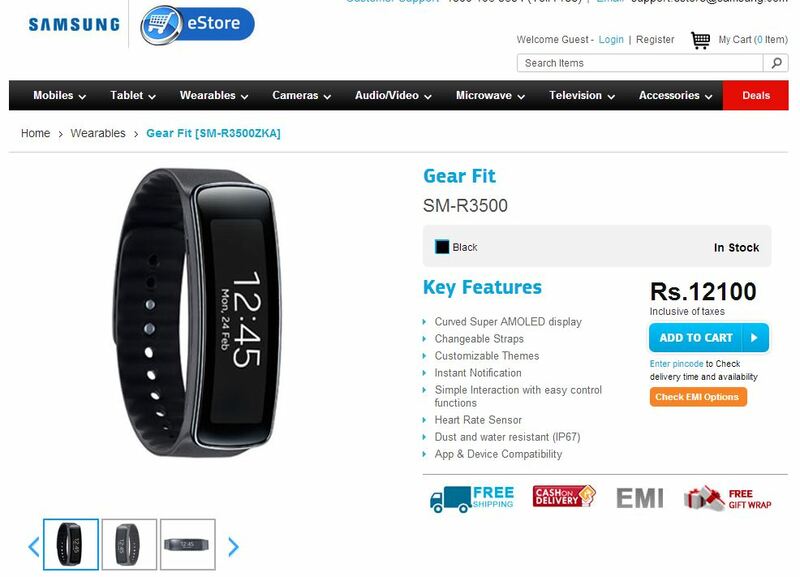 You can understand a little better the accessory to watch our story about smartwatches, the link just below this video. In the race to win over this audience, Samsung released the Galaxy Gear, but it was not the first big company to venture in this market. 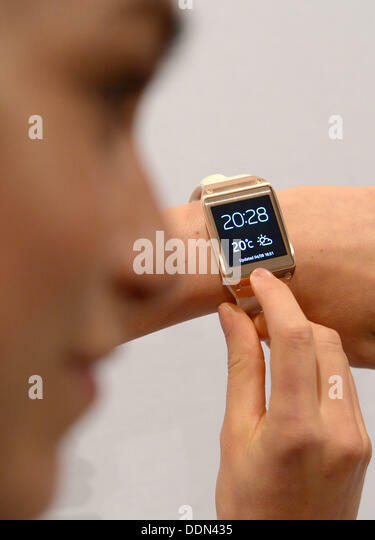 Sony, for example, is already in its second generation of smart watches. So, let’s learn more about Gear, sold in Brazil by approximately 1300 reais. The screen is 1.69 inches, with a resolution of 320 pixels by 320 pixels and a density of 227 pixels per inch. The AMOLED display, protected by Gorilla Glass displays everything with a good sharpness for a watch. 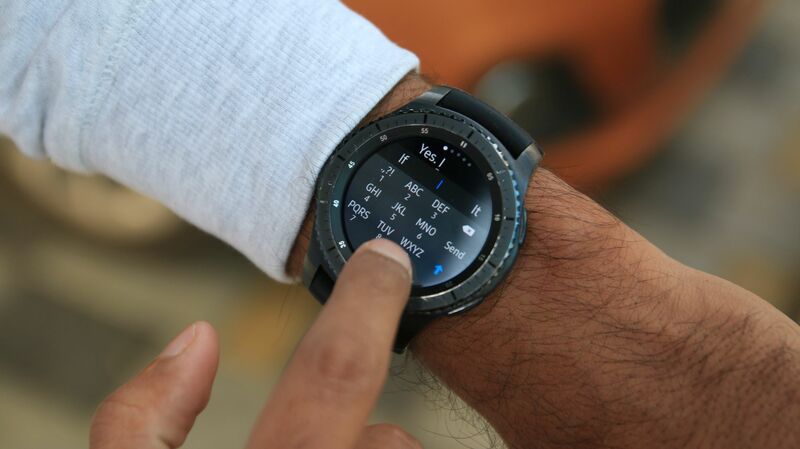 The Gear comes with four gigabytes of internal memory, USB input, 315 battery milliamps-time and Bluetooth Smart, it consumes little energy and connects to the smartphone. The battery, which only lasts a day, is the weak point of the device. But in reality we’re accustomed to reload the smartphones daily, doesn’t seem like the end of the world do the same with the smartwatch clock. The accessory comes with only one physical button, on the side, which serves as Home. Weighs 74 grams, has 11 mm thick and the bracelet can be replaced by others of different colours. Bracelet, you still find a 1.9 megapixel camera that can record video in 720 p. The quality of it is a pleasant surprise. The photos look really good, considering they were taken with a clock. Although, most of the time, you’ll probably prefer to shoot with your cell phone. Even so, the camera Gear can be useful for rapid clicks and discreet. 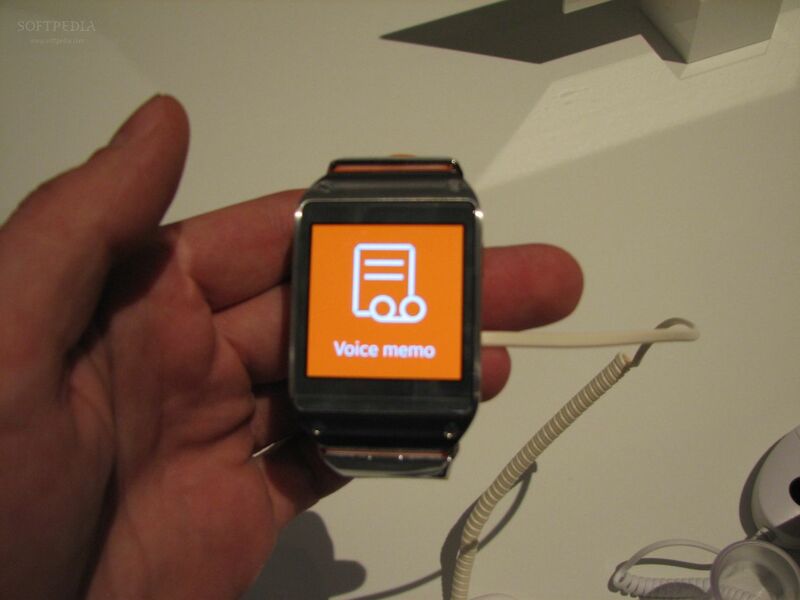 There are also two speakers, which let you use the watch on your wrist left or right. 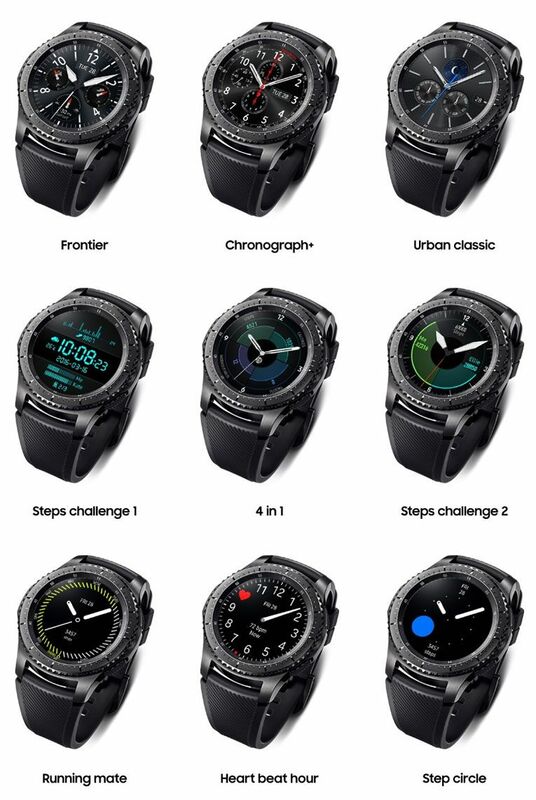 Talk with someone at Galaxy Gear is a very strange experience, but curious. It’s hard to know if you will please most people or not. Basically, you need to take the watch to your ear, almost like I was holding an invisible cell. It is practical, but tiring. You can make and receive calls directly by Gear, leaving the smartphone in your pocket. But there’s a flaw here: the call log is not synchronized. So, if you answer a call on your cell phone, it will not be recorded on the clock, and vice versa. An interesting point is the Voice, that responds to a series of voice commands. The feature works in Portuguese, but not the sharpest tool in the box to recognize what the user says. In addition, depending on the speed of your band, it can take too long to bring results. The feature also could pass to allow the drafting of emails, since it only works with SMS messages. 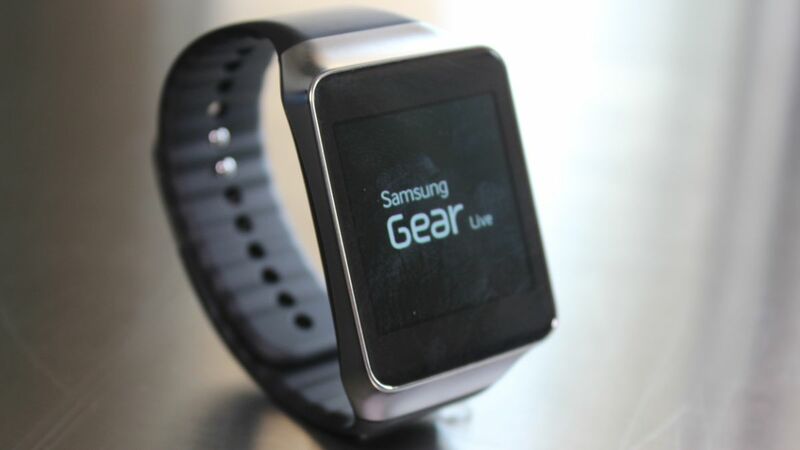 The Gear takes some applications especially developed for watches, like Evernote and the Path. There are still very few options, but the shortage is natural for a product that has not yet proved your worth to the world. The available applications are usually interesting. Finally, the worst defect of Gear: integration with social networks. Although warn users about notifications that arrive through social networks, need to draw the Pocket smartphone to check the news. The feature does not appear to have much use, in addition to trying people and encourage them not to take your eye from the phone. 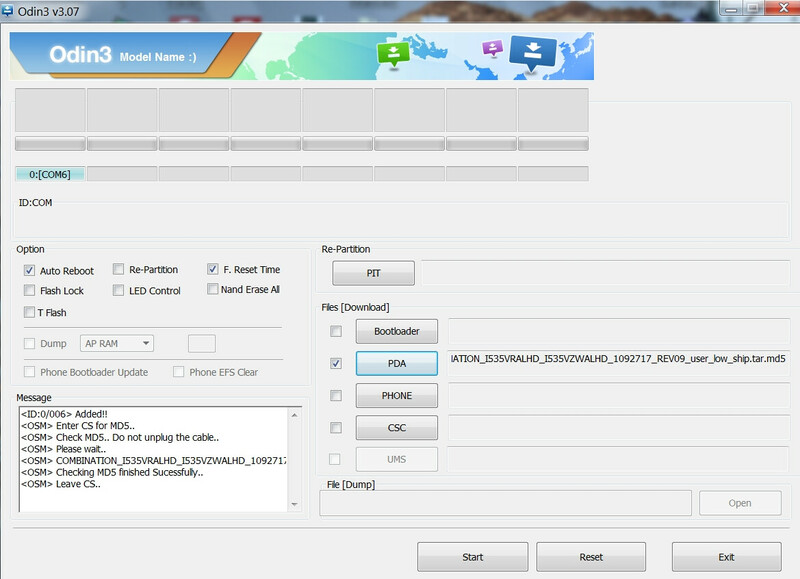 For now, the Gear works only with the Galaxys Note 2 and 3, S3, and S4 Galaxy Galaxy. The proposal, as we have said, is to be a mediator between the smartphone and the person, but the connection only works at short distances around three meters. 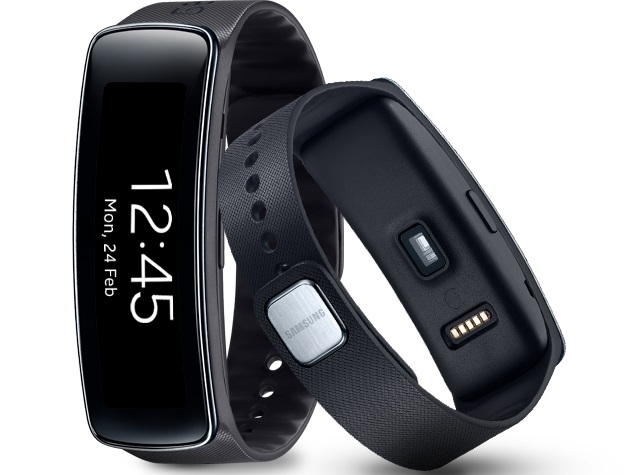 We were surprised with the Galaxy Gear like Pebble smartwatch updated by nonprofitdictionary. 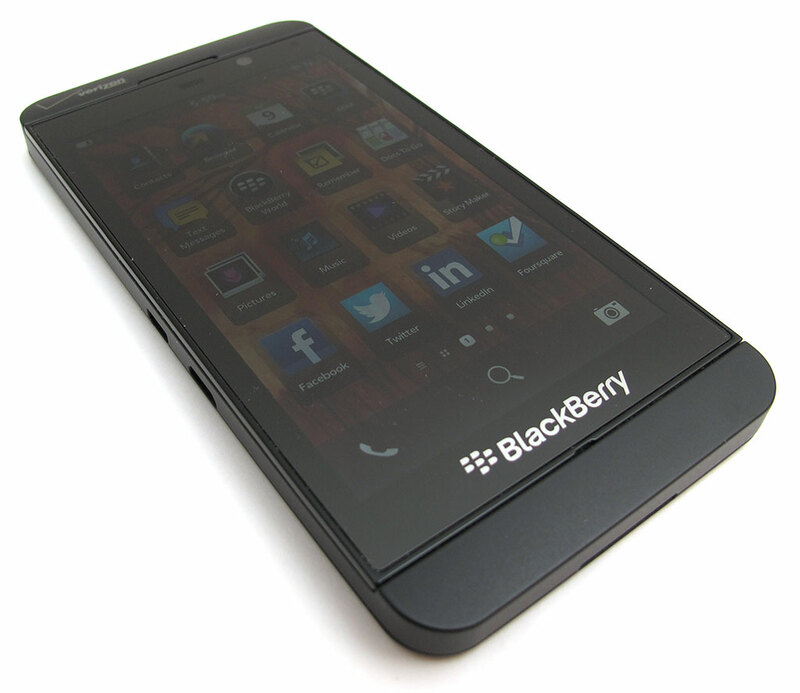 When he was released, much of the international press detonated the device in their reviews. It is true that the clock is far from perfect, but it’s not a complete failure. 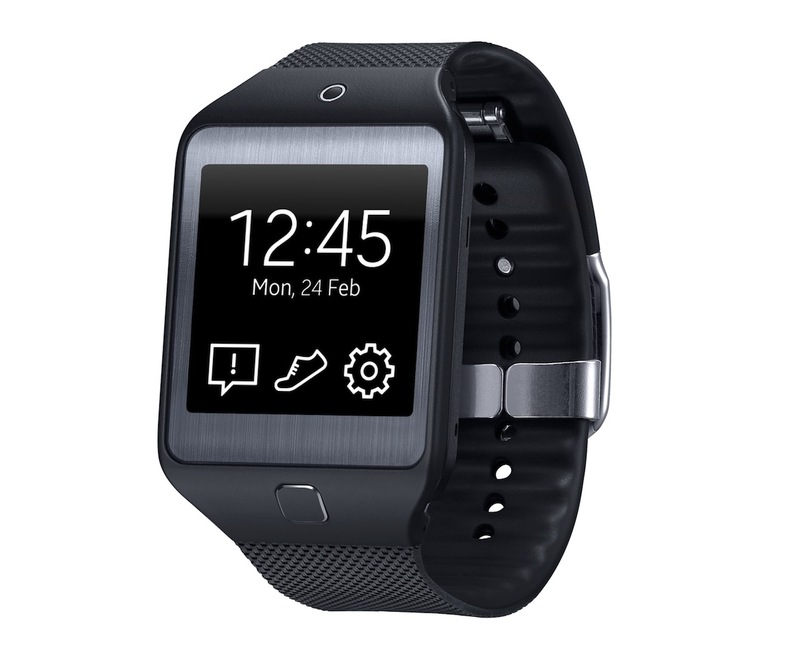 The Gear has helped us to understand the usefulness of a smart watch. However, still fail enough about what purports to be, especially in the integration with social networks. In the end, gives the impression that it was released in a hurry just to answer marketing questions. Considering the price of 1300 real, we do not recommend the purchase, unless you have a lot of money to spare. 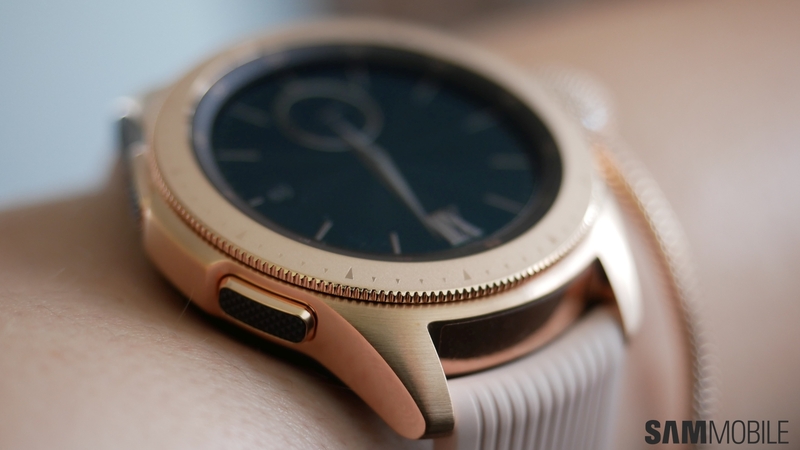 Anyway, it’s worth keep an eye for the next smartwatches, mainly in the Samsung. After all, the concept of wearable technologies has a lot of potential. 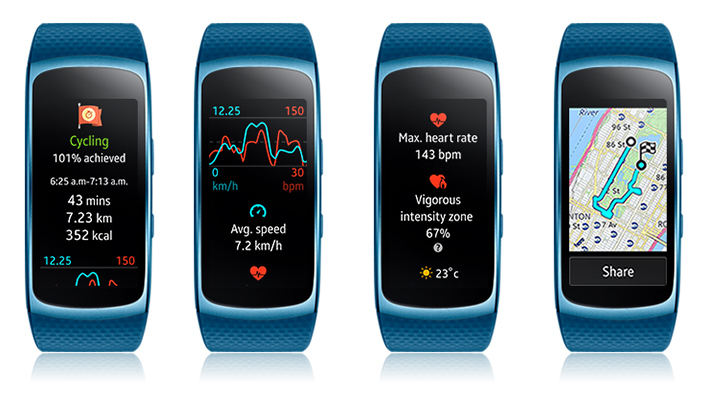 Samsung Gear Fit 2 fitness tracker review.